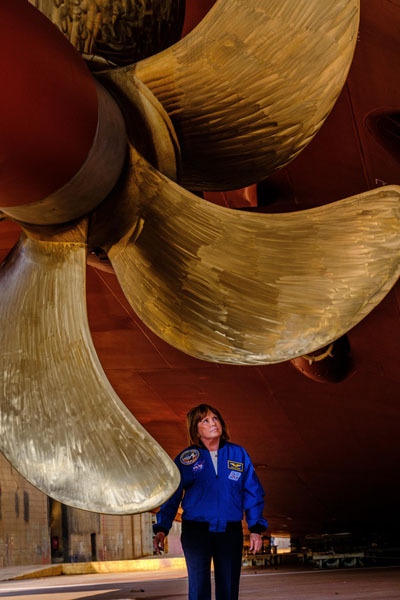 Viking today announced that American chemist, emergency room physician and recently retired NASA astronaut Dr. Anna Fisher will be honored as godmother to its fifth ocean ship, which will debut in July 2018. 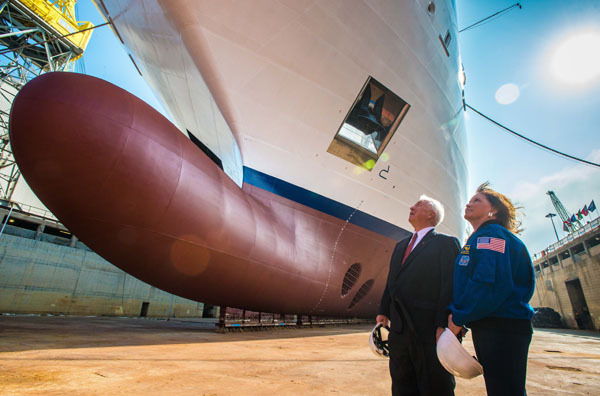 The new ship has been named Viking Orion® after the prominent constellation and in honor of Dr. Fisher’s contributions to NASA’s Orion exploration vehicle project. The announcement was first made by Viking Chairman, Torstein Hagen, during a press conference in New York City celebrating the first call in Manhattan for the company’s third ship, Viking Sky. 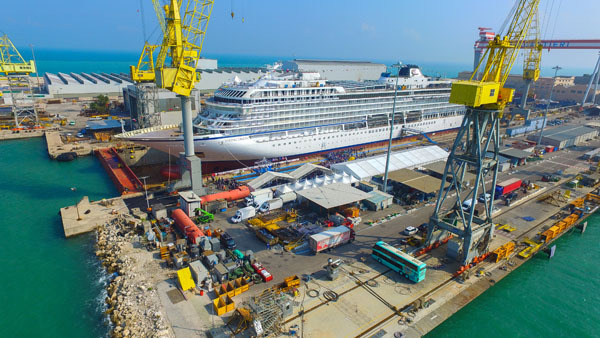 The 930-guest Viking Orion reached a major construction milestone last week, when the ship met water for the first time during her “float out” ceremony at Fincantieri’s Ancona shipyard. Dr. Fisher attended the September 28 ceremony and assisted with several maritime traditions. Viking Orion will spend her maiden year sailing itineraries in the Mediterranean, before making her way to Asia, Australia and then Alaska. A float out ceremony is significant because it denotes the first time a ship touches water and moves into its final stage of construction. Viking Orion’s float out began at approximately 11:00 a.m. local time, and in keeping with maritime tradition, Dr. Fisher, as godmother to the ship, assisted with the ceremony, first “mast stepping,” by welding coins under the ship mast. The commemorative coins she welded represented her birth year, as well as the birth year of Chairman Hagen. Two special coins were also welded to represent members of the Hagen family: 1911 to represent Ragnhild “Mamsen” Hagen, the mother of Chairman Hagen, and 2012 to represent Finse, the yellow Labrador of Karine Hagen, Viking’s senior vice president and daughter of Torstein Hagen. Dr. Fisher then cut a cord to allow water to begin flowing into the ship’s building dock. Following a two-day process that set Viking Orion afloat, the ship was then moved to a nearby outfitting dock for final construction and interior build-out. Explorer Suites:The ships feature 14 Explorer Suites, which are two-room suites ranging from 757 to 1,163 sq. ft. that offer sweeping views from wraparound private verandas as well as the most amenities and privileges of any category onboard. Dining Choices: Viking’s shipsoffer multiple restaurant locations and food choices—from fine dining in The Restaurant, which serves three full meals and the widest choice of culinary options, and the World Café, which serves international fare and regional specialties—to intimate dining experiences at The Chef’s Table, which offers a multi-course tasting menu complete with wine parings, and Manfredi’s, which features freshly prepared pastas and Italian favorites. Additionally, The Kitchen Table focuses on regional dishes from market to table; the Pool Grill specializes in gourmet burgers; afternoon tea and scones are available in the Wintergarden; and Mamsen’s serves Norwegian deli-style fare. Furthermore, with multiple choices for outdoor seating during meals, Viking’s ocean ships offer the most al fresco dining at sea. Enriching Entertainment:Connecting guests to their destinations through authentic experiences is central to Viking in creating “the thinking person’s cruise.” Instead of casinos and water slides, guests are offered Viking’s Culture Curriculum® including: world-class lectures on history and art; personalized opportunities for learning with the Viking Resident Historian program; tasting of vintage wines from their destinations; restaurant menus inspired by local cuisine; informative port talks; enriching Destination Performances featuring folkloric shows and musicians playing regional and classical music; an onboard cooking school allowing guests to learn how to prepare local specialties. 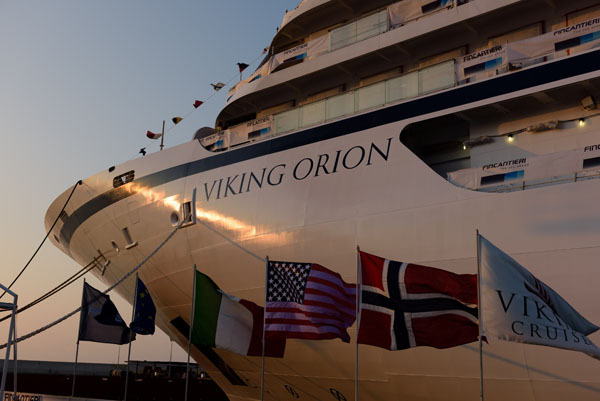 Onboard Viking Orion, guests will also enjoy lectures on astronomy and space exploration. Sustainable Features: Designed with the environment in mind, Viking’s ships feature energy-efficienthybrid engines, hydro-dynamically optimized streamlined hull and bow for maximum fuel efficiency and equipment that minimizes exhaust pollution and meets the strictest environmental regulations.